Gone Creek Campground is located next to beautiful Timothy Lake in a lush forest and about 30 miles from Mt. Hood. This popular campground has 50 campsites can accommodate tents, trailers and RVs (up to 32 feet). Some walk-in campsites are available. Each campsite also has a table, fire ring and grate (no electric hookups). The campground has a delightful camp host (who sells firewood), drinking water and vault toilets. There’s also a boat ramp providing access to Timothy Lake. Pets are allowed (on leash), quiet hours are from 10pm to 6am, and there is maximum of 6 people allowed per campsite. Our favorite Gone Creek campsites are 10, 14, 16, 20, 23, 24, 26, 27, 28, 31, 32 and 35 (a few with great views of the lake). Outdoor recreation includes mountain biking, hiking, horseback riding, fishing, picnicking, boating, canoeing, kayaking, fishing, swimming, windsurfing, and exploring historic sites. Wildlife viewing is also great in the area! Little Crater Lake campground is another option and is about 9 miles from Gone Creek campground. Pine Point and Oak Fork campgrounds are also in the area. 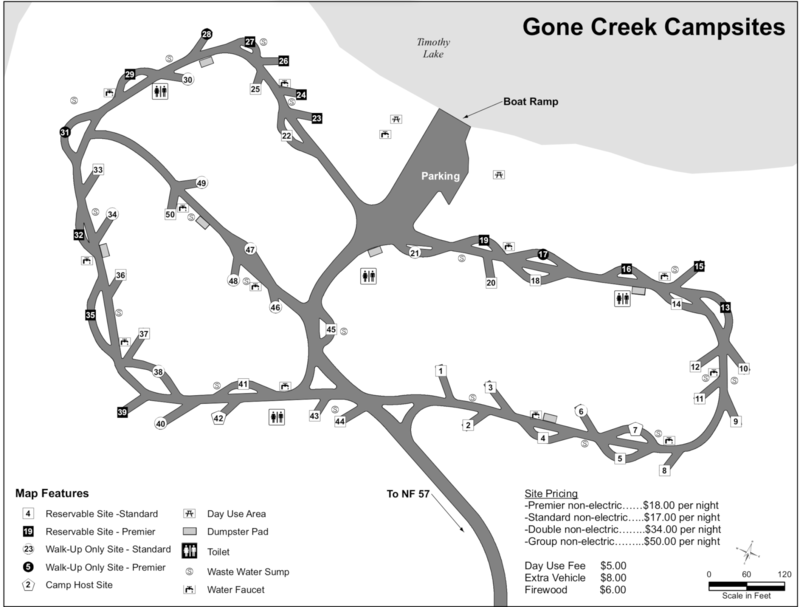 Visted Gone Creek Campground lately? We'd love to hear about your adventure. Did you find us useful? Did we forget something? Anything our community should know before heading out to Gone Creek? What is latest check in? 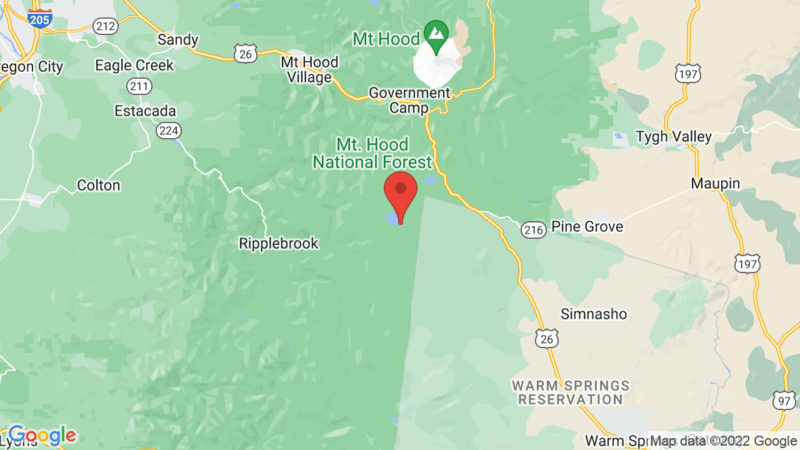 The latest check in at Gone Creek campground is usually by midnight, but you should call the campground to double check: 503 464-8515 or 503 668-1700. Is there a maximum number of tents allowed on a campsite? Gone Creek campground permits 6 people per campsite and you can have as many tents in the site as will fit.